Filterheads is the fresh, psychedelic trance project of Joakim & Mike. The duo bring a new twist to night psychedelic music. Concocting a blend of heavy hitting yet funky bass-lines, trippy soundscapes and screaming leads. While utilizing quirky, tongue in cheek samples to keep the vibes lively and the dancefloor buzzing. In a short amount of time the music has taken the global psytrance scene by surprise. Launching their debut EP 'Space Apes' which cemented the project and kicked off a flock of festival bookings across the European festival circuit and abroad. 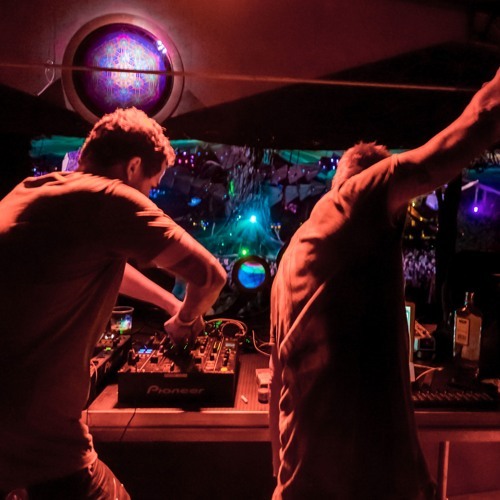 Blasting at iconic parties such as Modem, Ozora, Antaris, Universo Parallelo and many more... Their 2nd EP 'Darkside of the Spoon' followed, and again has proven that the music is resonating wildly across the globe. With plans for an album set for a 2017 release. Expect more music and developments, as things have only just begun to heat up within Filterheads lab.